Disaster! You have sat down to enjoy your favourite TV shows and the Sky box says, “no signal”. You may be asking yourself “What can I do to get the Sky working again?”. You could try contacting Sky to get an engineer out,but chances are that they won’t be able to get out to you within a few weeks and that isn’t going to help you watch the football match. This blog has been written to help you before you tear your hair out and lose your sanity with some tips and reasons that your Sky box may not be working hopefully get it working again. I have written some of the most common techniques and tips for getting your Sky box working again and tried to organise them in an order with easiest to try at the beginning, getting more difficult towards the end.Good luck! You will be amazed how often this works with most electrical items and it will be one of the first things that the telephony operators at Sky will suggest, if you give them a call to report that your Sky box is not working properly and that is to power cycle your equipment. From time to time your satellite receiver can just freeze and get stuck and the only break to break this is to completely power down your equipment. To do this simply cut the power to your Sky box by switching off from the mains supply, just putting your box into standby will not be enough. If you can’t get to your power socket you can just dis-connect the figure 8 mains cable from the back of the satellite receiver to achieve the same result. Once you have disconnected the power you need to leave enough time before powering it back up again, I would suggest at the very least 30 seconds to allow the capacitors within the satellite receiver to discharge but would advise at least two to five minutes to be on the safe side and then reconnected your power. Initially you will probably get a Sky logo on a black back drop that will quickly disappear, this doesn’t mean that the box is ready to go again. The Sky box needs to undergo it’s initialisation process and will take a couple more minutes to be ready to go again. I suggest leaving it at least another two minutes before trying to use the equipment again as you don’t want to confuse the Sky box with excessive commands that could cause it to lock up again before you have got it going. You can then try turning on again and if it has worked the box will be ready to use. It may just take a few more minutes for things to start behaving properly again, like the TV guide displaying up to date information and you may even get a similar message appear on screen. It could be that your TV is just on the wrong TV input. The clear majority of Sky boxes these days will be connected over a HDMI cable for best picture and sound and in fact the new Sky Q boxes do not have a video output other than a HDMI cable, which can present problems when trying to connect to a HD TV but that’s for another blog! Other Sky box types can also be connected over things like SCART leads, phono cables and even an RF aerial type connection and you will need to ensure that your TV is on the correct input for your Sky box.If you’re connected over a HDMI cable the chances are that you’re Sky box is connected on an input called HDMI or HDMI1, HDMI2 etc. If you’re connected over a SCART or phono cable, then the input could be called AV1 or AV2 for instance.It really does differ between different TV’s what the inputs are called so it’s best to make a note of what is what if you can. Personally, when I install TV’s for my customers a lot of TV’s allow you label the different inputs, so you know what is what and this is what I would do. I would try to connect the Sky box to HDMI1 for instance and then call this input ‘Sky’ or ‘Sat’ depending what the TV will allow so that my customers know where they must go to watch their Sky TV. This just makes things a lot easier especially where there are lots of things connected to a single TV like, games consoles, DVD players, Bluray players, Smart TV sticks and so on. If your TV is on the wrong source the easiest way to identify this would be the “No Signal” message that you get up on screen. It will still say “No Signal” but it would be your TV saying no signal and not the Sky box and this is what confuses people, so you wouldn’t see a Sky branded display/ interface but that of your TV. Usually a completely different colour to the blue menus on the Sky boxes. If you believe that your TV is on the incorrect source/ input. You simply need to ensure that your Sky box is on, the green light on the front of the Sky box will indicate this and then rotate between your TV inputs. This can be done by pressing ‘TV’ then ‘Help’ on certain Sky handsets that have been tuned to your TV otherwise you will need to pick up your actual TV handset and find the source button. This is labelled different on lots of different TV’s so will need to find what this is on your remote and your manufacturer literature should provide this but common names for this is: source, input, AV or a picture with a box and an arrow pointing into it. Once you have found this press and select the input for your Sky box or keep rotating through if you don’t know it. Once found the Sky TV picture or menu will appear on screen and hopefully get your premium TV content back. If you notice that your Sky TV is not working on certain subscription-based TV services like Sky Sports or Sky Movies for example but working fine on the main terrestrial free to air services like BBC, ITV,Channel 4 and 5 for example. There could be a few things that can be going wrong here. As the premium content is delivered to your home via your satellite dish encrypted this means that you need to have an active subscription, a viewing card inserted into your Sky box and the viewing card paired to your Sky box. There could be an issue with the subscription meaning that you are no longer receiving subscription-based services. This could be that a payment has not reached Sky and they have cut you off which will only affect the subscription-based services or that the channels you’re trying to watch are not part of the subscription you already have. 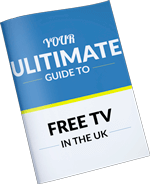 There are numerous packages that you can subscribe to and things like Sky Sports and Sky Movies usually will cost you more, so you may have to upgrade your subscription and pay more to Sky basically if you want to watch them. Either way and phone call to Sky should rectify this. If your viewing card isn’t in your Sky box, isn’t inserted in your box correctly or is damaged. How are Sky going to know that they should allow you to watch your premium content? If you have young children or naughty pets it’s possible that they have pulled the viewing card out of the holder,even slightly will cause it not to sit correctly in the satellite receiver. I advise that before you give Sky and earful over the phone for their service,not something I’m adverse to by the way they carry on sometimes but just check that the viewing card is inside your Sky box correctly. It should be facing chip side down and fully inserted. If its damaged, then unfortunately you will need to contact Sky and order a new one to put into your Sky box which will take a few days. If you have just installed a new Sky box and take the old card from another box, this will need to be paired to the new box to be able to receive your subscription based content otherwise you will have the ability to bring your viewing card wherever you go and insert into any Sky box and have access to your Sky channels, wouldn’t that be nice. The easiest way to do this is just to call up Sky and let them know what’s happening. You will need the following details to do this which can be accessed from your Sky box, Model Number, Version Number, Serial Number & Viewing Card Number. You can access these by pressing ‘Services’, select ‘Settings’ and select ‘System Details’.This is the process for Sky HD and standard Sky boxes. To pair your card with a Sky Q box is a little different. Press‘Home’ select ‘Settings’, then select ‘System Info’, scroll across and select‘Viewing Card Number’ and again across to ‘Setup’. This will automatically do this for you. Please be aware when pairing viewing cards this can take anything up to 4 hours but is often immediate. It’s possible that you have a faulty Sky receiver itself which could cause your Sky TV to not work properly or no signal on your satellite receiver. People often wonder why Sky boxes may just stop working but they are just like any other electrical equipment that only has a certain shelf life.Sky boxes can last for years but they can also only last weeks. I have taken a brand-new Sky box out of it’s box to install it to find that it was faulty and please also be mindful that a lot of Sky boxes that are installed in peoples houses are reconditioned old boxes that have already been faulty and subsequently repaired to be re-used again. So, it’s not unlikely that they could go faulty again. This will be more common with Sky Q as even after you have had a Sky subscription and completed your minimum term Sky retain ownership of the box unlike Sky+ and Sky+HD boxes which they let you keep. If you think that your Sky box is faulty, the simplest thing is just to try plugging in a different box. Just be mindful that Sky Q and normal Sky systems cannot be swapped over as and when as the LNB on the satellite dish is different and not compatible with each other. If you have another Sky box in your property, then you could just try swapping this to see if your Sky box is faulty or not. If you don’t have one second hand Sky boxes can be purchased online for next to nothing these days and the box could even be your new box if you old one is proven to be faulty. Just be mindful that secondhand Sky Q boxes are not as easy to come by and you may need to go back to Sky to order a new one. Of all the things that could go wrong with the satellite dish part of your Sky system, the easiest to repair would be repairing a loose F plug connection or poor termination. To check your cable termination, unscrew your F connections from the back of your Sky box, there are usually two, but some Sky boxes only have one. Nowadays Sky installers tend to install compression type plugs onto the coaxial cables which are more reliable than screw on F connections which can pull loose when not installed correctly.Visually inspect the cables, the centre usually copper conductor, often called the “Stinger” should protrude the end of the F plug by at least 2mm. If it is any longer take this opportunity to cut it back to correct length. You should also check the plugs to see if they are pulling loose and if there is a cable short on the F termination. To check to see if the plugs are loose just give them a little tug to see if they remain in position or not, just don’t pull too hard as you could create a problem where there otherwise is none. To check if there is a cable short, at the end of the F plug make look inside to see if the cable braid is touching the centre conductor.If it is then this will create a short and likely be why you have no Sky signal. Just so you know what you’re looking for the cable braid is the thin wires beneath the cable PVC jacket. If you do find any problems with your cable connection. I recommend that you watch my video showing you how to install an F plug. It could be that you Sky dish and Sky box are both in fully working order and you’re still getting no signal due to adverse weather conditions. The weather to look out for is heavy rain, snow and electrical storms which the signal from the satellites in space have to pass through before it reaches your satellite dish, and this can distort the satellite signal. There is sometimes very little you can do in very heavy rain and electrical and snow storms, but you shouldn’t be losing your satellite signal every time it rains. Here are some tips and advice when dealing with satellite signal and adverse weather conditions. I recommend making sure that your satellite dish is aligned for 100% peak alignment. Just because you have a satellite signal it doesn’t mean that you have a reliable one as it could be slightly offline. It will be difficult to align your satellite dish for peak alignment without the appropriate equipment, but I recommend reading one of our older blogs on How To Align A Satellite Dish. You could also consider a slightly larger satellite dish to help over come the effects of rain but not many people want larger satellite dishes on their property. If you’re losing signal every time it rains, you could also have water ingress on the coaxial cable. I advise inspecting the cable for any breaks in the PVC outer sheath and the connections at the satellite dish itself to see if there is any corrosion or weathering if you can reach it. The plugs should just unscrew but you may need a spanner or pliers. If you find corrosion you may need to replace the F connection and cut a bit of cable back, but you may also need to replace the entire coaxial cable if it looks heavily corroded.For this I once again recommend my video on how to install an F connector. I also recommend checking to see if the weather proof cover has been pulled down as often this is left up in error allowing rainwater to enter the cable termination and making measures to protect the cable termination from further weathering. This is particularly important in seaside towns and it can be done with self-amalgamating tape wrapped around the F plug and over the LNB output,but this can be difficult to do with many LNB’s with multiple outputs such as Quad and Octo LNB’s. You could also install weatherproof F compression plugs but personally I just prefer a smear of silicone grease over the plug as this will protect the outside of the plug too. If you have heavy snow that has settled on your satellite dish it could be that this is blocking the signal being reflected from the main reflector to the LNB. You will probably find that once the settled snow has been removed from your satellite dish that good signal will resume. If your satellite dish is out of reach you may have some luck with a broom, just be careful to not knock the dish offline or you could just wait for the snow to melt! If your satellite dish has been hit by something or moved in heavy winds, this will result in no satellite signal. If this is the case, you will need to re-align your satellite dish to get your Sky signal back. This is not easy, and you may need a Sky installer or independent aerial and satellite company to do this for you, especially if the satellite dish is high up. If you want to give this a go, please read our blog on How To Align A Satellite Dish. Another common reason as to why your Sky TV may not be working is that the LNB you have may be faulty. This is relatively simple task and you usually only need a small screwdriver to fit a new one. I go into more detail again on my blog how to align a satellite dish but one thing I will just recommend if you’re going to the new LNB yourself is to make sure that you’re replacing like for like, as there are many different types of LNB on the market, I have a video that you should check out on our Youtube channel and also that you’re setting the Skew adjustment correct. This is the angle in which the LNB sits in the holder to differentiate between horizontal and vertical polarised signals. If you just pay close attention to the angle that the old LNB was at before you removed it this should be enough to get the new one installed right. For various reasons the coaxial cable that connects between your satellite dish and your Sky box can become faulty. This would usually be because it has become damaged, but it can also happen if a very high current has been allowed to run through it. If your cable is damaged or you suspect itto be faulty you will need to install another one. Just remember that for every recordable satellite receiver you have you will need to install 2 coaxial cables between your satellite dish and your satellite receiver. Twin cables are on the market, also known as shotgun cable that make installation far easier. A satellite dish needs a clear unobstructed view of the satellites in space and if anything, or any relatively substantial size you will either lose your signal altogether or you will have a far weaker signal. I say fairly substantial in size because if a fly was to get in the way it won’t make any difference. If you have a tree that has grown so that it is now blocking the signal whereas it wasn’t before, you have the option of either moving your satellite dish to a new location or cutting down the tree. If neither of these are viable solutions, you will soon have the option of a Sky without a satellite dish. It’s not available at the time of writing this but when it is launched you will be able to receive your Sky subscription over the internet.You can find some more information here. If you can’t get your satellite signal or Sky box working and it looks like you may miss your favourite programmes. You could also try Sky Go, this is an app available on most smart phones and tablet, over the internet and on things like gaming consoles such as Xbox etc. You download the app, login to your account and you’re ready to go with your Sky channels. You won’t be able to use services from the BBC through Sky Go but if you if have an aerial as well as a satellite dish you would be able to watch this through Freeview, which is why I recommend that people have an aerial as well as a satellite dish. If you need your Sky fixed fast and you do have the time or the patience to try and fix yourself, or you have tried with no luck. I recommend contacting an independent satellite installer in your area, these will usually be able to respond far quicker then Sky themselves and get you Sky TV up and running ASAP. If you do know where to look for an aerial company in your area and have no recommendations from friends and family. I recommend using the CAI to find installers in your area. To join the CAI which stands for The Confederation Of Aerial Industries, but have recently changed their tagline to reflect the ever changing sector to The Trade Association Of AV Professionals, you have to be good at what you do, at least that’s the theory behind it and you usually can’t go far wrong with a CAI member. Independent installers can also usually carry out Sky TV installations and repairs that Sky themselves wouldn’t, like difficult to access satellite dishes. The reason I put this after contact a local company in your area is because well I am biased, and independents usually have a greater understanding of satellite TV systems and will respond quicker, but you may have no other option then to contact Sky themselves to get your Sky TV working again. I hoped that you liked this blog. As always if you have any questions please do LEAVE A COMMENT in the blog section below. Please be aware that unless you’re in East Sussex, West Sussex or Kent in the South East of the UK I’m not available to give support over the phone.